Wolf Run is a 5 reels, 40 lines video slot developed by IGT. It’s actually quite popular and generated many clones and reproductions, but personally I don’t share this opinion. I will state the reasons below, but it can all be summoned in one word – return. 92.5% – 94.98% is quite good in land based casino, but it’s far from being one of the best paying slots online. The special feature of Wolf Run slot machine is the Stacked Wilds and the Boosted Stacked Wilds free spins, which are probably the reason behind Wolf Run success. The Howling wolf which you can see on the logo is naturally the wild symbol of the game. Other high paying symbols are the Grey and White Wolfs. The free spins is where Wolf Run slot actually pays off. To trigger it you will need to get 3 Bonus symbols on reels 2, 3 and 4. You will be given 5 free spins with additional stacked wilds added on the reels. As mentioned before, I’m not too fond of this slot. There are 3 reasons for that. Wolf Run slot machine can be quite mean during the regular play. You can go literally for 20 spins without hitting anything. The official RTP of Wolf Run online slot is somewhere near 93.75%. That’s much better than what you will get playing this slot in brick and mortar casinos, but it’s considered to be quite low for an online slot. 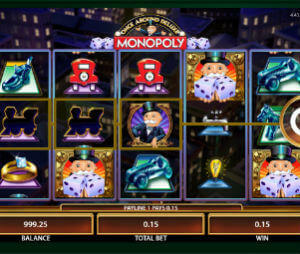 There are plenty IGT slots with much better RTP, such as Monopoly Plus with 96.7%. Not to speak of other software providers. Due to its popularity, Wolf Run has many clones, such as Coyote Moon and L’il Lady. They have a different theme and design, but the features are exactly the same. There is also a 50 lines version of Wolf Run, called Wild Wolf slot.